Founded in Glasgow in 1919, it is named in honour of Saint Columba, a Christian missionary from Ireland who helped to introduce Christianity to people in Northern Britain. We are dedicated to the principles of Charity, Unity and Fraternity and have more than 4,000 members in over 300 Councils across England, Scotland and Wales. Membership is limited to practising Catholic men aged 16 or older. We exist to support the mission and doctrine of the Catholic Church and at the same time to work for the “spiritual and material good of its members and their families”. We follow the social teachings of the Catholic Church and work for the moral and social welfare of our communities and in particular to help the development of young people. Our members strive to achieve all these aims through Charity, Unity and Fraternity. We are organised locally into Councils. The local one which covers five of the parishes in Sutton Deanery, is East Surrey Council 237, which was formed in 1931. Our meeting place is in Holy Cross Parish but we currently meet jointly with neighbouring Worcester Park Council 328 meeting monthly at St Christopher’s, Cheam who cover the other parishes of the Deanery. For further information please visit www.ksc.org.uk or speak with Father Paul or please use the contact form. We will get back to you. 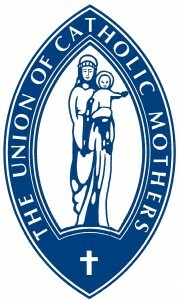 The current Union of Catholic Mothers has been in existence at Holy Cross for nearly 25 years, meeting every 3rd Wednesday in the month in the Parish Centre at 20:00. The meeting is preceded by a Mass twice a year, in January and in September. The UCM is a caring, sharing organisation and we come together as friends, sitting as a large group with Mary Thomson (President), Tina Pletts (Treasurer) and Elaine Bruton (Secretary). Our activities include fundraising and preparing food especially for the First Holy Communions in June and the Seniors Spring Party. We have organised quizzes, beetle drives, and an afternoon Tea at the Ritz; we used to run an annual Christmas Fayre but more recently we have instead organised a Christmas Hamper Raffle to raise funds for charity. We arrange speakers and demonstrations. 1 To help Catholic married women to appreciate the Sacramental character, responsibilities and permanence of marriage, and to live in unselfish love observing the laws of God and His Church. 2 To assist them to bring up their children as practising Catholics and public-spirited citizens. 3 To teach and defend Christian values in family life and to ensure for their children Catholic education. 4 To offer love, sympathy and practical help to the family in difficulty. 5 To foster vocations in life especially in Christian marriage and family life, in the priesthood and in the religious life. Meetings are held on the 3rd Wednesday of each month in church hall. If you are Interested in attending please get in touch for further information or just come along. We would warmly welcome any new members to the Group. Speak to Father Paul or please use the contact form. We will get back to you. fruit and a drink for the children. Each session ends with songtime. It is a popular group but space sometimes limits entry. A £1.50 contribution per child over 6 months helps towards the Group’s running costs. 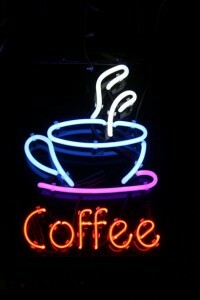 Volunteer’s to help with the teas and with running the group are always welcome. Speak to Father Paul or use the contact form. We will get back to you. A place for mum to relax bring a friend, you can dance or chat. Sip fresh brewed coffee, tea and have home made Patisserie. £2 entry, kids are welcome. We are a group of ladies who love ‘doing’ flowers. We work to a rota arranging the flowers on a Friday or Saturday morning, singly or in pairs depending on the work involved, but all teaming up for Christmas and Easter. We love to plan appropriate foliage and flowers to match the Church’s seasons. Weddings are also big occasions and we can offer to make bridal bouquets, corsages and buttonholes and many other arrangements for the big day. We are also able to offer a similar service for funerals and baptisms. Advent and Lent are times for a break from flowers to suit these penitential seasons, and this allows the Church to almost literally blossom at both Christmas and Easter. The Prayer group meets at regular intervals throughout the year. Dates and venues are published in the Parish newsletter as they are arranged.